How do you know if your infrared temperature sensor is aimed correctly? Here are some easy ways to improve the alignment of your pyrometer. 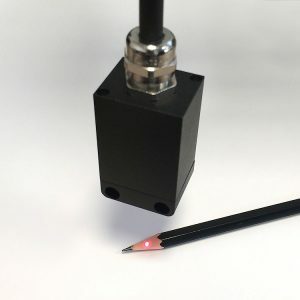 When using a non-contact infrared temperature sensor for measuring target temperature, the sensor head can be aligned simply by positioning it at the point where the temperature reading is maximum. The laser sighting tool, LSTS or LSTL, is fitted onto the front of the infrared sensor to adjust the sighting of the sensor and then removed when the sensor is in use. The laser gives a spot precisely at the centre of the sensors field of view. The Dual Laser Sighting Brackets are designed to remain fitted to the front of the infrared sensor, enabling continuous sighting of a target during the temperature measurement. The centre of the sensor’s field of view lies halfway between the two spots produced by the lasers. These are available as either a fixed bracket, allowing 1 axis adjustment, or an adjustable bracket, allowing 2-axis adjustment. Extension cable (DLSBCE) is available for all of these brackets. 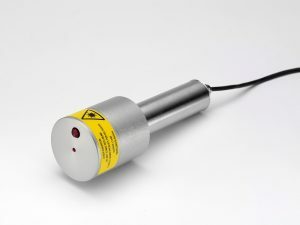 The PyroCube infrared temperature sensor has built-in LED sighting which enables very precise measurement by showing the exact measured spot size during the measurement of the target temperature. The Calex FibreMini infrared temperature sensor has a fibre-optic cable which enables built-in laser sighting. This offers high performance measurement by showing the exact spot diameter at any distance (note: the laser spot is brightest at short distances). The laser sighting can be used at the same time as taking the measurement. 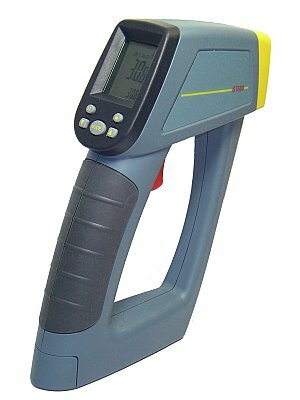 The Calex handheld “gun-style” infrared thermometers (ST640, ST642, ST688 and ST689) have built-in laser sighting that can be switched on or off during use. 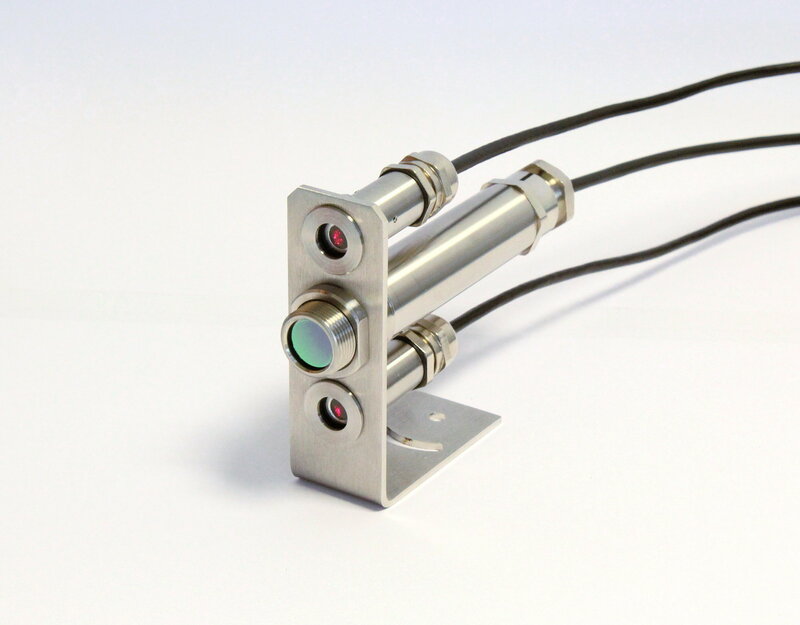 The laser beam runs parallel to the centre of the sensor’s field of view. 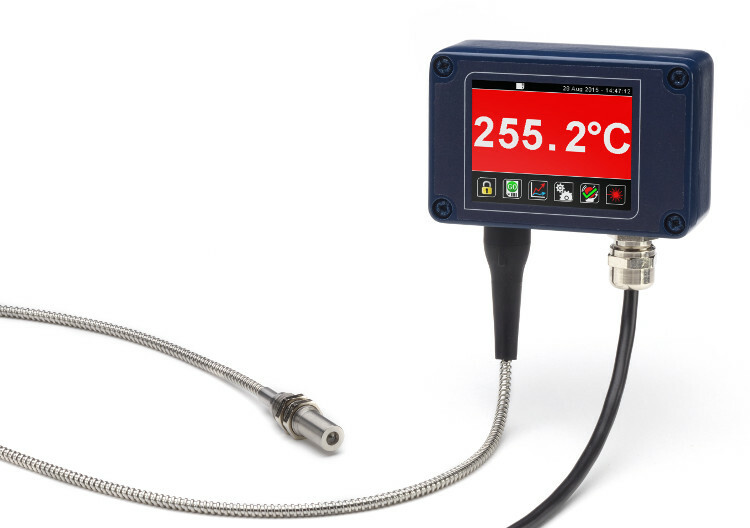 Got a question about infrared temperature measurement? Get in touch with us and we will do our best to help you.